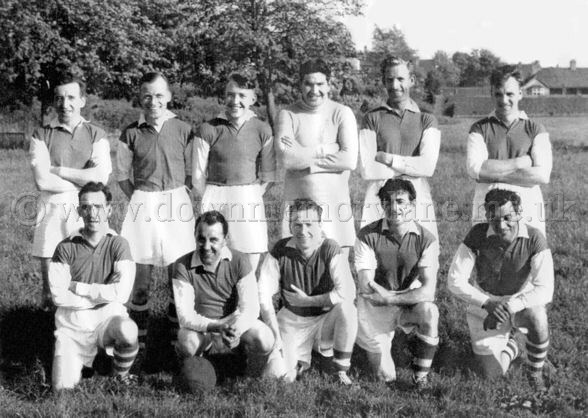 These smiling faces belong to Flexibox's Married Mens Football Team back in 1958. Standing at the back we have J Thompson, R McCandless, R Murray, J McNeilly, R Marks and J Millar. Kneeling in front are C Scott, Jock Kirk, S Monaghan, Chris Green and I Guthrie.